Best Law Firms 2014 | Reiter & Walsh, P.C. Best Law Firms 2014 | Reiter & Walsh, P.C. 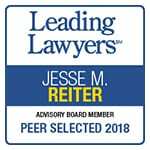 Law firms that are included in the 2014 Best Law Firms list are recognized for professional excellence with persistently impressive ratings from clients and peers. Firms are ranked in tiers on both a metropolitan and national and 74 different practice areas are covered. Reiter & Walsh has received the top, Tier 1 rating. Reiter & Walsh is pleased to have been chosen among the highest number of participating firms and highest number of client ballots to date. More than 12,000 attorneys submitted more than 330,000 law firm assessments and almost 7,000 clients provided close to 20,000 evaluations. To be eligible for a ranking, a firm must have a lawyer listed in the Best Lawyers in America© which recognizes the top 4% of practicing attorneys in the U.S. 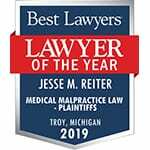 Both Jesse M. Reiter and Rebecca S. Walsh of Reiter & Walsh, P.C. 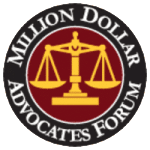 were honored earlier this year by their peers for inclusion in the Best Lawyers in America 2014 in the fields of Medical Malpractice Law – Plaintiffs and Personal Injury Litigation. Mr. Reiter has been honored with Best Lawyers status every year since 2008 and Ms. Walsh since 2013. Reiter & Walsh, P.C. is located in Metro Detroit and handles cases in Michigan, Ohio, Washington D.C., and around the nation. For more information, please contact Genevieve Kotasek at Reiter & Walsh, P.C., 888-419-2229, gkotasek@abclawcenters.com.